Mechanical systems that suffer from a lot of wear and tear damage need to be checked and serviced on a regular basis in order to stay operational. Doing this doesn't just help to prevent all sorts of problems, it also extends the mechanism's longevity and reduces the risks involved. Automatic garage door systems are under a lot of stress every time they open and close. That's why the maintenance routine our company provides is so useful. Contrary to popular belief, the garage door opener isn't what supports the weight of the panels during operation. That responsibility lies with the lift cables and the springs. These components are under tremendous tension, and they can end up breaking prematurely if they're not treated properly. In order to keep your door balanced and reduce some of the operational strain the springs are put under, we'll check and adjust their tension periodically. This is potentially a very dangerous task, so you should never try to attempt it alone. Your motor unit is the device that powers the operation of the door and automates it. Because it works automatically, it needs to have safety features set in place to prevent it from causing harm to any person or object that gets in the door's way while it's open. That's why our team will test the alignment of the safety sensors and the auto-reverse feature's functionality, to ensure the opener is still safe for you and your family to use. Friction is one of the main causes of wear and tear damage. 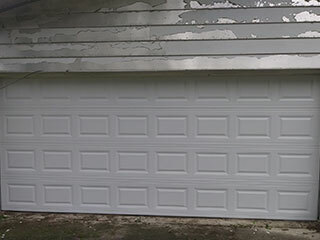 Every moving metal part of your garage door is undoubtedly suffering from it. If you hear loud squeaking noises every time the panels move up and down, then your rollers and hinges definitely need to be lubricated properly, as do your springs. This will help these components work more smoothly and quietly, and reduce some of the friction-caused strain they experience. Let our professional technicians at Garage Door Repair Santee make sure that every part of your system is in the best shape it can be. Why wait for something to break down when you can prevent it and save a lot of money on avoidable repairs? Call today.